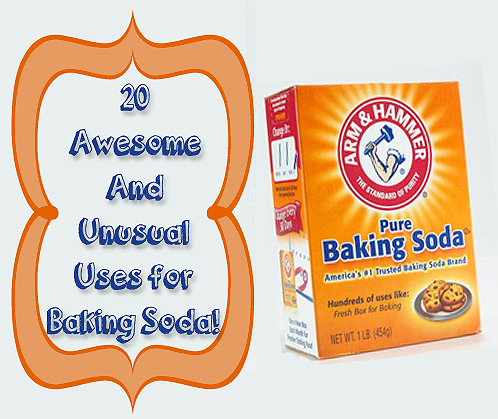 What if I told you that I had 20 awesome uses for baking soda that you may have never thought of? Don’t we all have a box, or more, of baking soda around the house? Deodorize the fridge – my grandmother always had an open box in the refrigerator. Change ever 3 months. 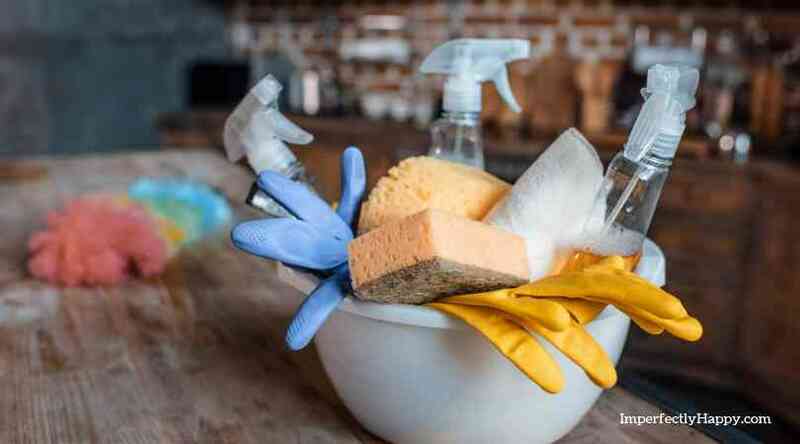 Scrub your sink with baking soda – it will be clean without all the chemicals in those “scrubs”. Make your crock pot easier to clean by soaking it with warm water and baking soda. Soda can also help remove set stains in the crock pot. Freshen your mattress by dusting the mattress with a thin layer of baking soda, allow it to see for 2 – 4 hours and then vacuum up. Remove blood stains from fabric by soaking in cold water with a little baking soda. Stinky dishwashers can be renewed by adding a little baking soda to the bottom of the dishwasher and running it empty. Get that grout to sparkle by using a paste of water and baking soda. Use the paste to scrub the grout – for really dirty grout allow it to sit a few minutes before scrubbing off…. Don’t wait for Spring to get your house a good scrub! I know mine sure could use some elbow grease and these tips are awesome. Check out Natalie Brown’s article on Buzzfeed – I found a several I want to try. 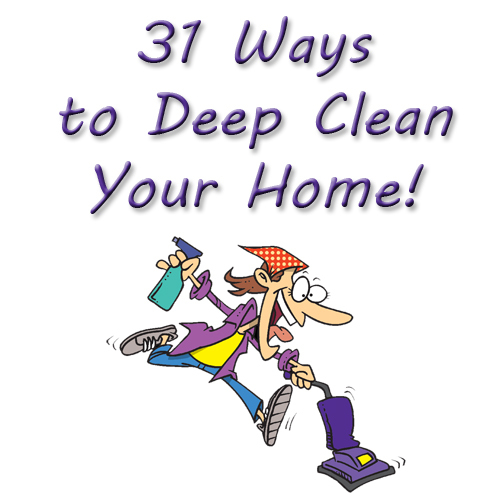 31 Ways to Deep Clean Your House.